During the early Cambrian period, the diversity of animals exploded. Many animals Developed hard calcareous shell and Ability to move. Also various predators evolved. The rapid Diversification might be explained, among other reasons, by Increase in oxygen content and the Quickly escalated arms race between predators and pray. 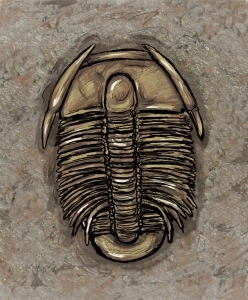 Trilobites were typical Paleozoic arthropods. Image: Sanni Rahkola. Most of the modern phyla appeard Rapidly in about 20 million years. For example, Arthropoda (insects, crabs, spiders etc), molluscs and Chordata (vertebrates and lancelets) are phyla. Also some new phyla evolved, many followers have since gone extinct. Due to the Multitude and diversity of the new animal groups, this age is often called the Cambrian explosion. Typical Cambrian arthropods included the Trilobites. They were preyd by Anomalocaris , one meter long giant predator of its own time. 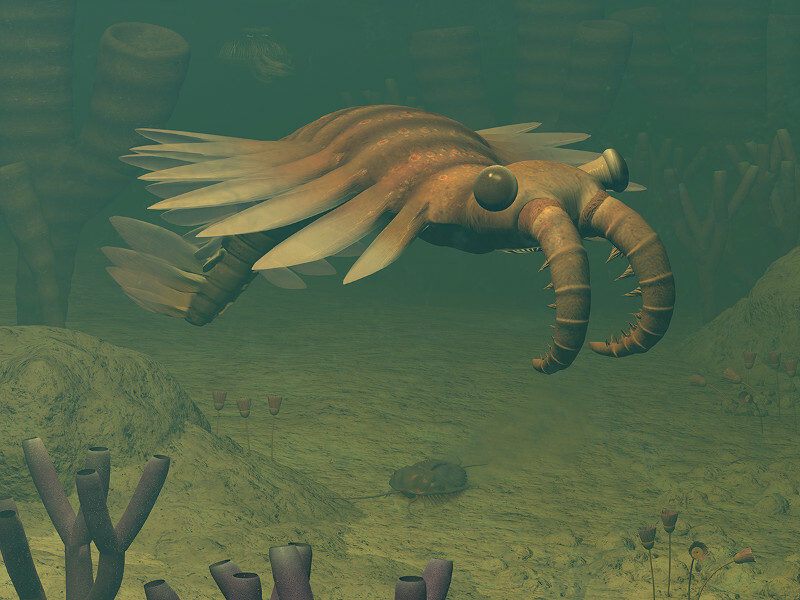 Anomalocaris cought its prey using two ’arms’ and crushed it with the force of its plate-like mouth. Also species with very exceptional body shapes and forms have been found, Including the hallucigenia , a possible ancestor of velvet-worms, and opabinia , That had peculiar head tentacle and five mushroom-shaped eyes. Hard calcareous shells of many organisms helped them to be preserved as fossils. A lot of the information is animal phyla has been Obtained from the fossils found in 1909 in the Burgess Shale, in the Canadian Rockie. These fossils contain delicate projections, Which tells of Exceptionally well protected conditions for this fossil material. Later, more Cambrian fossils have been found from elswhere, in particlarly from China. 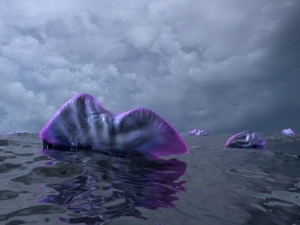 South-western Finland was covered in an expanding shallow sea. The layers from this time-period are well preserved in Estonia and Russia, but have been eroded away in Australia, and can be found only in cracks and crevices of the rocks. Finland was a part of the small Baltic plate That was moving towards the equator. Opabnia had tentacle at the head and five mushroom-shaped eyes. 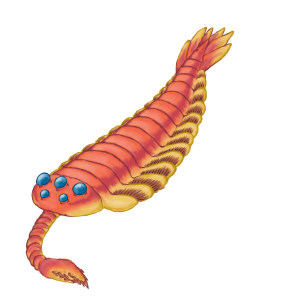 Opabnia was related to Anomalocaris, but Smaller . Image: Tomi Räsänen.